When it comes to making money on your blog you have many options to choose from. Ad revenue, affiliate sales, selling your own products and the easiest of all…. Gift Guides. 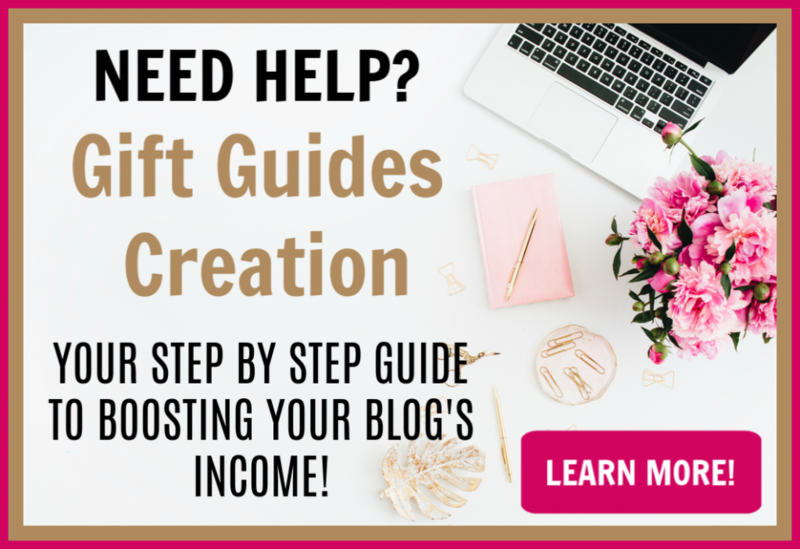 Whether you are a brand new blogger or have been around for a while, learning how to create a gift guide can be a money-making game changer. These little babies are super simple to create and if done correctly can pack a powerful income producing punch! If you are new to gift guides I am going to walk you through just what they are, what requirements are needed to have them, and just how simple it is to set one up. What is a gift guide? A gift guide is simply a post on your blog that has one job and one job only. You are not really teaching your readers anything other than where to find the items to purchase in your post. You do not need a lot of commentaries, just basically an introduction paragraph for the theme of your post and closing paragraph to sum it all up. The intro paragraph should explain to your readers just what you will be including in your guide. The theme so to speak. It is your chance to drum up excitement. The closing paragraph just sums it all up in a neat and tidy package. How does a gift guide work? 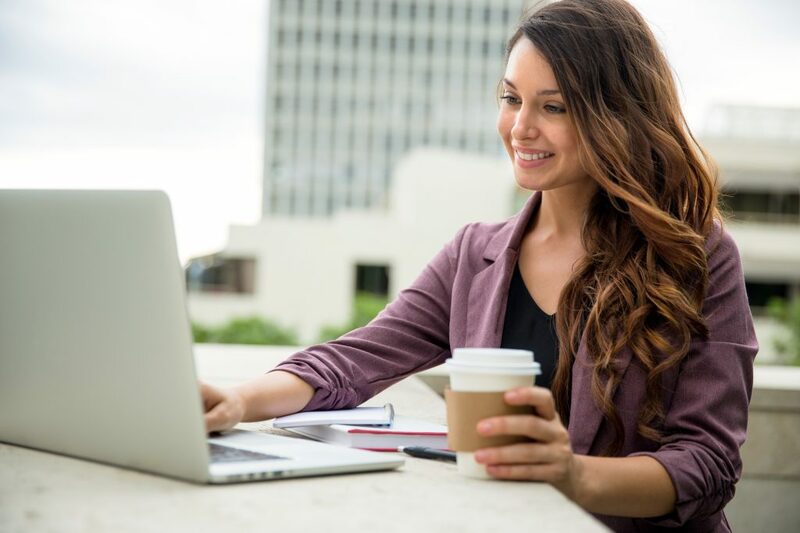 When you have an affiliate relationship with a company or another blogger, you are given a specific ID that will be added on to a product URL. When a reader uses your link to purchase a product your ID in that link is what tells the company who is responsible for the referral. Now, depending on how the company works, you will usually be paid monthly once you have hit a minimum dollar threshold. Payments will be made either by check or direct deposit. What if a reader uses my link but does not purchase anything? Well, that is where things really get fun. Each affiliate link comes with its own cookie. A cookie is a tracking link that ties your reader to your affiliate link. A cookie can be anywhere from 24 hours to indefinitely. To make it really simple, a cookie is what ties your affiliate link to your reader. Like a game of tag so to speak. They click your link, you are both connected for the specific time frame (cookie length), if they make a purchase in that time frame…any purchase at all… you will receive credit for that purchase. Once the time frame is expired the cookie drops off and the reader is without one until they click another referral link. Now, do not be discouraged by a 24-hour cookie. Usually, those are offered by the bigger companies and in exchange for their popularity, you are given a shorter cookie. Amazon’s affiliate cookie is 24 hours whereas Etsy’s is 30 days. The goal with most gift guides is not necessarily the sale but the click. Get them to click so they have your cookie then once in the online shop if they purchase anything you will get paid. Why do I need a gift guide? 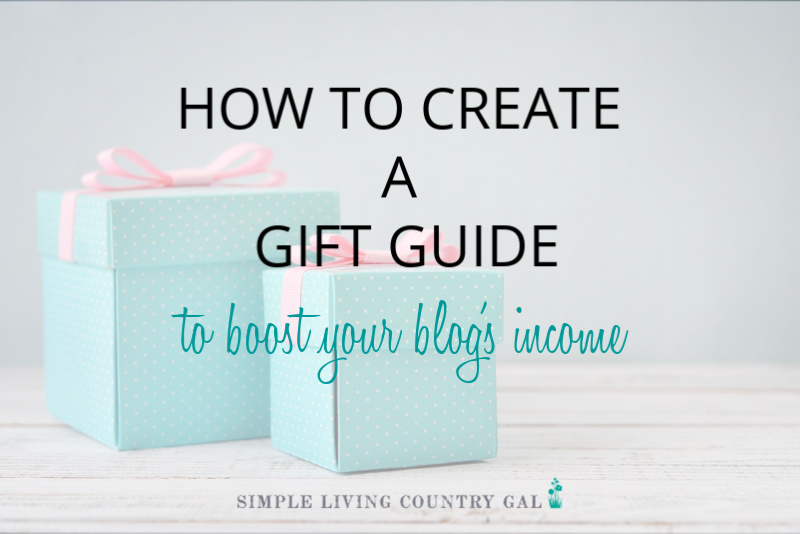 A gift guide is so simple and the perfect way to generate income on your blog. They take little time to write and require little on your part to write one. Just pick a theme, choose your items, insert your links and you are done! What do I need to have in order to create a gift guide? Most gift guides that I do involve either Amazon links or Etsy links so you will want to be signed up as an affiliate for either or both before you dive in. Sign up to become an Amazon Affiliate here. Sign up to become an Etsy Affiliate here. One more thing you must have whenever you use an affiliate link of any kind is an affiliate disclosure. This is just a short blurb or paragraph that alerts your readers that a link is a money making link for you. You should also explain that it will in no way affect the price of the item but it is just one of the ways you make money with your blog. I have found that readers are really quite understanding and more than willing to use a link as long as they are aware it IS an affiliate link. Okay my blogging friend, now that we have all of that out of the way. Let’s get busy! I have found that by having a theme for your guide you will really attract a more motivated reader and buyer. This theme does not necessarily have to match the theme of your blog, but it does help. You really do not need to spend a lot of time here. Just a quick intro to utilize your keywords and give an introduction of how your gift guide is set up. Now, if this gift guide is based on a family story then you go right on ahead and fill it with text. Just do not bury your guide with excess words. This post is specifically for selling, so don’t spend too much time on word count and storytelling. This is my favorite part! Head on over to Amazon or Etsy and pick out all the items you want to include in your post. You can either do this one at a time or in a group. Whatever works best for you. Be sure to stick with the theme of your post and offer items at every price point. Don’t be afraid to go big here. Both Etsy and Amazon have a cookie so your goal at this point is to just to get your readers to click. Once the cookie is in place you have a bit more time for them to buy. Remember just like shopping in a store, organization is key here. You want things sorted and grouped together with large bold titles so readers can find what they need quickly. Whether you sort things by price or by theme doesn’t matter. Just do not throw a bunch of products into your blog post without thinking things through. This guide brings in several hundred dollars over the holiday season and the best part is I wrote it 2 1/2 years ago. Each year I go in and update links and add new items. It just takes a few minutes. And since it is an older post it already has Pinterest traction so it attracts readers on its own! Once you have all your products in your post you will want to go in and add your affiliate links. Before you begin, there are a few things to keep in mind. Make sure you bold the exact words you are linking. Color those words so they really stand out. Make it obvious so they know exactly where they need to click. Make sure all of your links are “no-follow” links. This just means that you are alerting Google that these links are not to be counted as blog post views. It is a Google rule so I highly suggest you follow it. You can read more about that here. Use sight approved images only. Amazon is pretty particular about their rules so read things over before adding images. Etsy is based on the shop owners discretion so I suggest talking with each owner to find out what will work best for them. To add a link, go into the edit part of your image and place it in as an external URL. make sure all of your links are “no-follow” links. You can do this either on the text side of your blog post with a simple code or download a plugin that will do it for you. Native ads are a grid system that you can easily set up on Amazon. You can use the 4 wide or 8 wide stacking option. You can also add a title to spice things up a bit! Keep it fun and light so your readers have fun too. Do not use native ads as a replacement for writing things out. You will still want to explain just a bit what the products are and why you are including them. I like to include a mixture of native ads and in-text links so my readers have many options to click. Step #7 Don’t forget your lead magnet! Now, I know what you are thinking. Why would I put a lead magnet in when this post is more for making money and not for growing a dedicated email list. 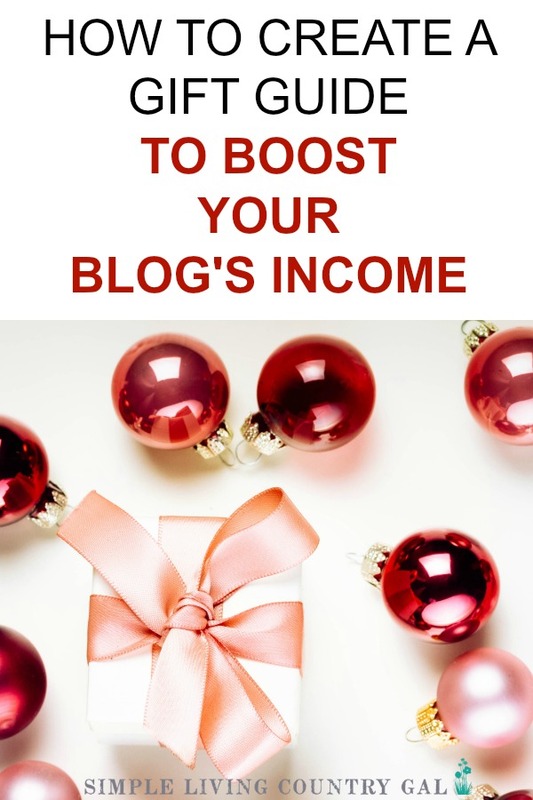 Well, lucky for us there is more than one way to make money on your blog. What I mean by that is, instead of using your lead magnet to grow your list, you are going to use your lead magnet to introduce your new reader to your sales funnel. Let’s take a quick look at how this works. Your reader sees your amazing pin on Pinterest and your click-worthy title gets them to your blog to check out your post. As they are reading and clicking you have an opt-in box that offers a free printable sheet that they can use to keep their gifts organized this holiday season. They sign up, snag their freebie and are magically now in your sales funnel (AKA welcome sequence). When they get their free printable you offer them a packet of Santa template letters they can purchase for their young kids to fill out for Santa. It’s just a $5 dollar product and only took you a few minutes to make. Now, not only are you racking up affiliate income you are now making sales. Step #8 Promote, Promote, Promote! 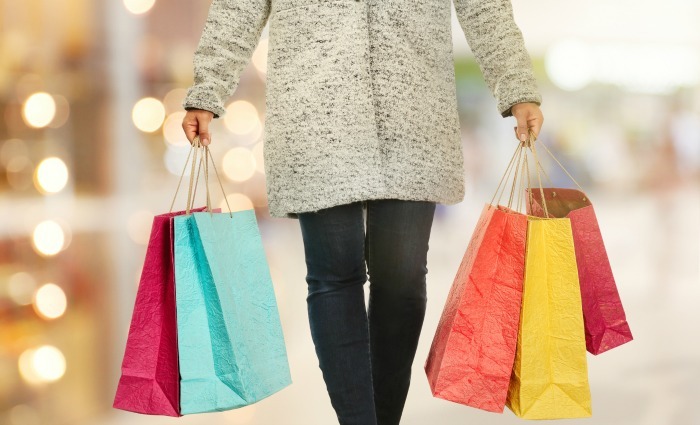 Nowhere is it more important to market your posts than when you have a gift guide. Get it on Facebook and ask for shares. Post it in Pinterest and jump into a few share groups as well. Then take advantage of Instagram and Twitter. The more you can get it out there the better. Every few days reshare your post using the same steps above. Please remember not to spam (pushing your content so much no one else can post anything) you want a constant flow but don’t overdo it! I suggest you get working on your guides in June-July and plan on putting it live in August-September. This will give you plenty of time to get it out there in front of people. Remember, it takes time for our posts to get moving so give your gift guides as much opportunity to get noticed as you can. Ninja Tip: What if you are reading this in October or even November? No worries, there is still time! Get that post written and out there and work hard to get it seen by as many readers as possible. Earning money on your blog does not have to be complicated. These gift guides are not only super simple to do, but even fun! Start out by creating a few that are specific to your niche and then you can really branch out. Once your guides are up you can sit back and watch the money come in. The best part about these gift guides is if a reader comes to your blog to read it they are in the mood to buy. Take advantage of this with fun, thorough and very organized gift guides that will convert sales for your blog. Now that you know how to create a gift guide for your blog, what post are you going to write first? Please share in the comments below and inspire others to start earning passive income! And as we both know, that email is much more valuable than the affiliate money! Thank you so much for this! I haven’t actually gone “live” on my blog yet, but am collecting ideas for the coming months and this is wonderful. I also appreciate that you went through everything step by step, your videos were very simple and easy to follow which I really need because technology is not really my thing. LOL. I will definitely be “stealing” this idea for next year and am putting it on my calendar to start working on this coming summer. Thank you again! Steal away!! But don’t wait, you do not need a holiday to have a gift guide!! Just wondering what happens if we’re new (zero-minimal traffic) and our Amazon affiliate trial period expires (with no sales) will the links just be de-activated? At least the work/post/guide will be done – would we just go back and redo the links when the time is appropriate? Thanks for the detailed videos – it’s nice to read a “How-to” post and leave without having any technical questions! One more thing – which plugin are you using for no-follow? Thanks!! If you are new, I would wait to do a gift guide with Amazon until after you have made it through your trial. You can also affiliate with Etsy, Walmart, Target, and other stores as well!